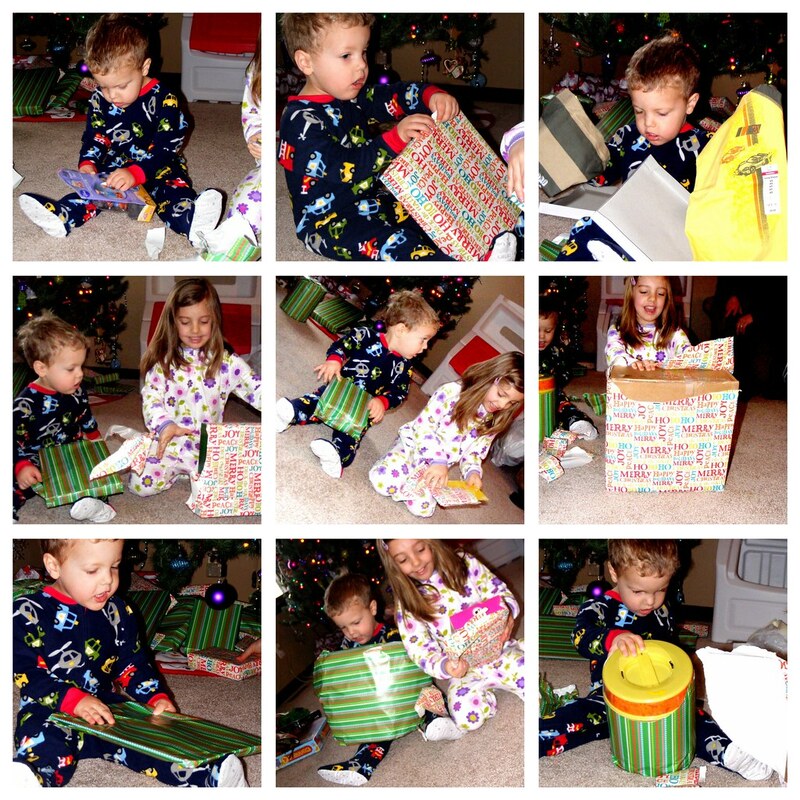 After a long fun night of spending Christmas Eve at Mamaw and Papaw's, we hurried home to get ready for Santa. Poor Gauge didn't make it. He crashed on the way home and there was no wiggling him. Grace however gladly helped us set out cookies and milk for the big guy and some carrots for his faithful reindeer. She always insists that we drag the coffee table over to the tree so Santa will be sure to see his goodies! 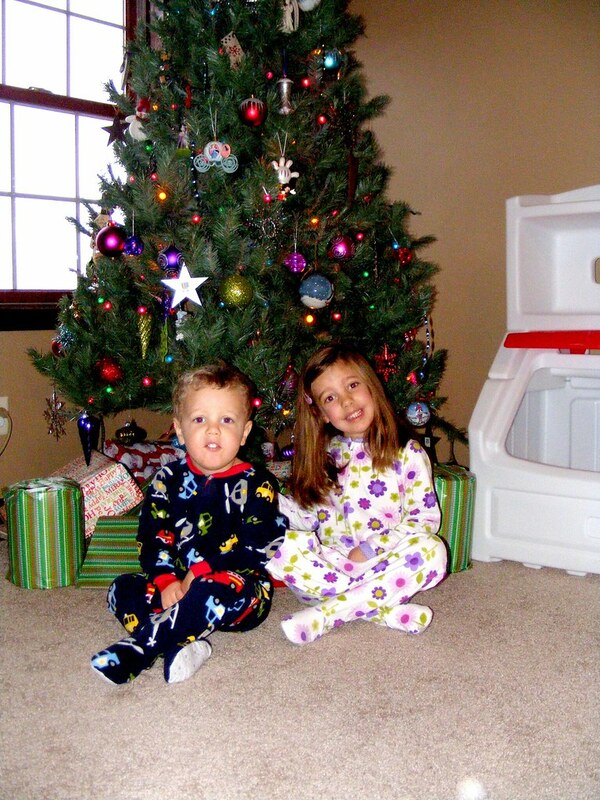 In the morning before all the fun begins, I have to get a good picture of the kids in front of the tree! Next, Daddy reads the note to the kids that Santa left them. When I was a kid, our stockings were always the first thing that we opened. I think that we were more excited about them then all the presents under the tree. My kids love their stockings too. This year we decided to do something different. 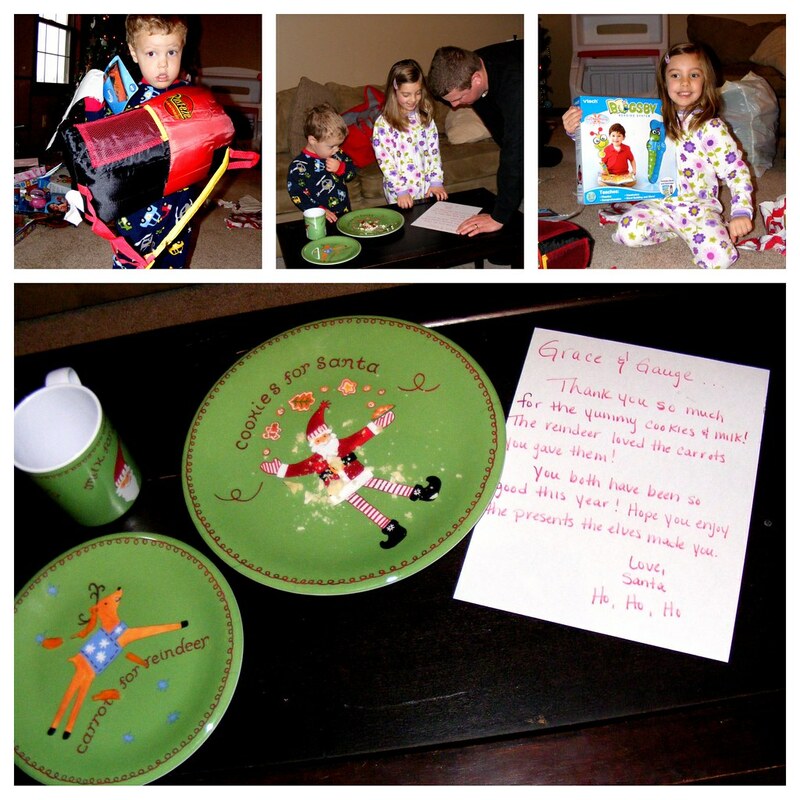 Instead of Daddy handing out the presents, we let the kids pic out a present for each other. All of Grace's presents were wrapped in the white paper with words and all of Gauge's presents were wrapped in green paper. This made it easy for them to differentiate. They were so so stinkin' cute. Gauge would pick one out and hand it to Grace and she would do the same...they would then look at each other and say "Merry Christmas Sissy....Merry Christmas Bubby!" In between opening present they had a blast rounding up the paper and putting it in the trash bag. Such good little helpers! Once it was all over, it was time for Mommy and Daddy to untie the bazillion twisty ties so they could actually play with their presents. I think that Gauge's favorite presents were his tubs of animals. Grace's favorite present was her camera. She spent the entire day and night taking pictures of everyone and everything! I am such a blessed Mama! 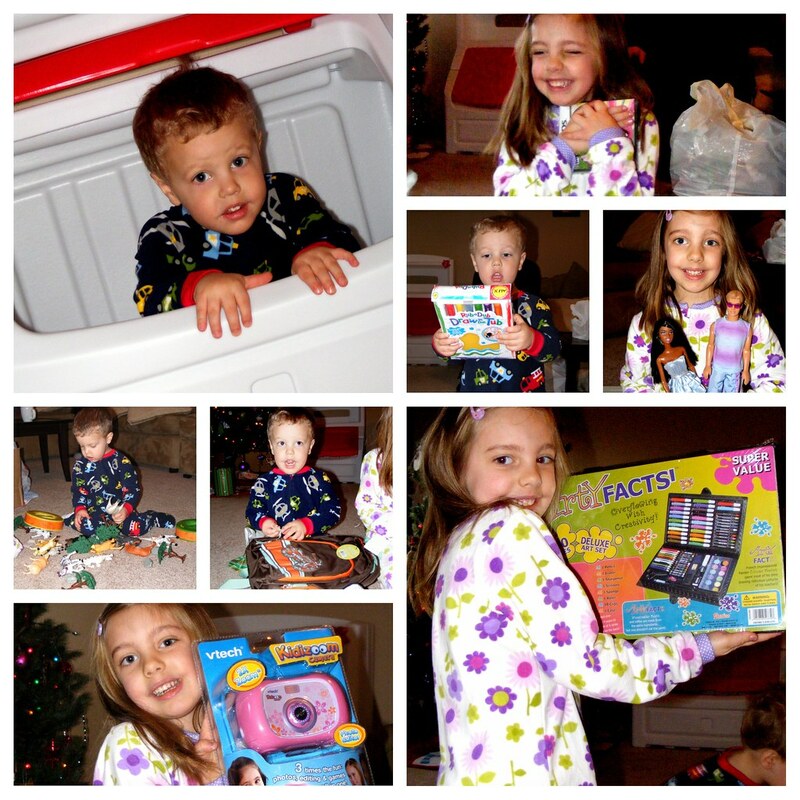 There is nothing better than seeing the joy and magic of Christmas through the eyes of your children!